On the eve of Côte d'Ivoire’s 58th independence anniversary, in a dubious attempt at “social cohesion,” President Alassane Ouattara granted amnesty to 800 persons accused or convicted of crimes against the state during the post-election crisis of 2010-2011. Former First Lady Simone Gbagbo — who had been tried for undermining state security — and other high-ranking officials associated with former President Laurent Gbagbo’s party, the Ivorian Popular Front (FPI), were among those released. Opposition supporters, whose leaders have been indefinitely detained, were in a jubilant mood. But civil society and victims groups accused President Ouattara of failing to make good on his promise of treating all Ivorians equally by ensuring accountability for past crimes and reparations for victims. The president expressly excluded a total of 60 military officials and members of armed groups who committed international crimes. The country’s post-election crisis of 2010-2011 ended in the loss of over 3,000 human lives, sexual assault, and tens of thousands displaced. To investigate the serious offences, the new administration established a national commission of inquiry, while simultaneously pursuing national criminal prosecutions through a special investigative unit, as well as through the International Criminal Court. As ICTJ reported in 2016, with the exception of the national commission of inquiry, none of the transitional justice institutions have succeeded in their mandate. Instead, the state has continued to pursue social cohesion through the prism of solidarity rather than acknowledgment and accountability, putting the burden on citizens to first accept the notion of reconciliation. Thus, the result of the state’s initiatives has been limited. Cote d’Ivoire has failed to bring to justice alleged perpetrators of international crimes and other serious violations of human rights. A large number of pro-Gbagbo fighters and politicians were kept in pretrial detention for years or convicted for crimes against the state, while pro-Ouattara forces remain untouched to this day. This was the first betrayal of the victims. It was a clear indication that the state did not intend to assume responsibility for the crimes committed. On the contrary, the government played the victim and insisted on identifying the “enemy of the state” (the loser of the political struggle). It was difficult to discern all of the implications when indictments were issued. Sadly, the way the charges were characterized did not forecast the government’s next step: a blanket amnesty. 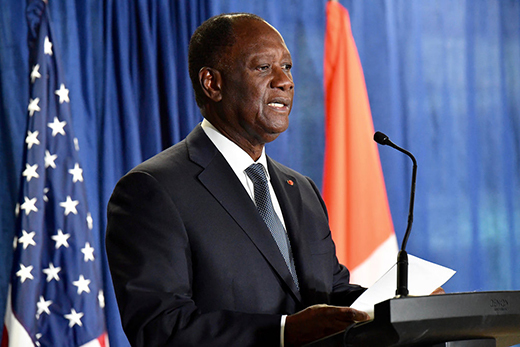 In principle, international law permits the amnesty issued by Ouattara. However, the action ultimately benefits many who should have been held accountable for human rights violations. Beyond that, those who suffered from the atrocities feel betrayed. What does the future hold for them, where the government has still not acknowledged state responsibility, much less issued a public apology or included victims in the implementation of a transparent reparations policy? The lapses in accountability and acknowledgment in Cote d’Ivoire have emboldened perpetrators and made it impossible for many victims to move on with their lives. The challenges of transitional justice processes present clear obstacles to the sustainable peace that the people of Cote d’Ivoire have been working toward.